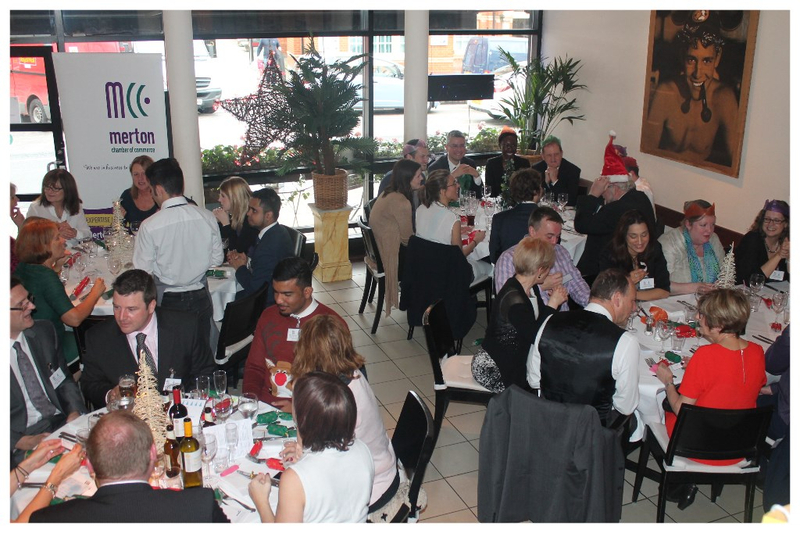 I hope you ended 2015 on a high - we certainly did at our annual Christmas lunch, with over 100 businesses enjoying a meal and networking at the fabulous San Lorenzo restaurant. You also raised over £780 for local charity - MertonVision, so thank you to all those who gave raffle prizes and bought tickets. The start of a New Year is always a refreshing time - one when, following a break, we might regroup, think more clearly and have new ambitions for our businesses. As you know, as your local Chamber of Commerce, we are here to help and support you every step of the way, so please take advantage of the services we offer to help develop and grow your business. January 8th sees the end of the first consultation on Crossrail 2. Thank you to all of you who have responded to our survey and joined our LinkedIn group. We have responded on behalf of businesses and will keep you in touch with any news as it comes though prior to the next consultation later in the year. Our new 2016 programme of events are geared up to helping you develop and grow your business through better marketing, communications, opportunities for developing your people and making valuable contacts. Learn how to plan, design and develop your website to convert prospects into customers and build customer loyalty. Reduce stress, to achieve business success. Our workshop for managing workplace stress will support you and your team to engage more and perform better. 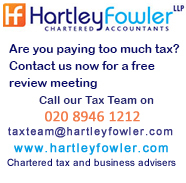 Network and share your views with other local businesses. Merton Council and the local police will be in attendance. Hear of any plans for the development of Raynes Park and have the opportunity to talk about issues affecting local businesses. Join us for our first joint networking lunch of the year with Love Wimbledon at Chimichanga's restaurant in Wimbledon. Network with like minded businesses whilst enjoying some fabulous Tex-Mex cuisine. 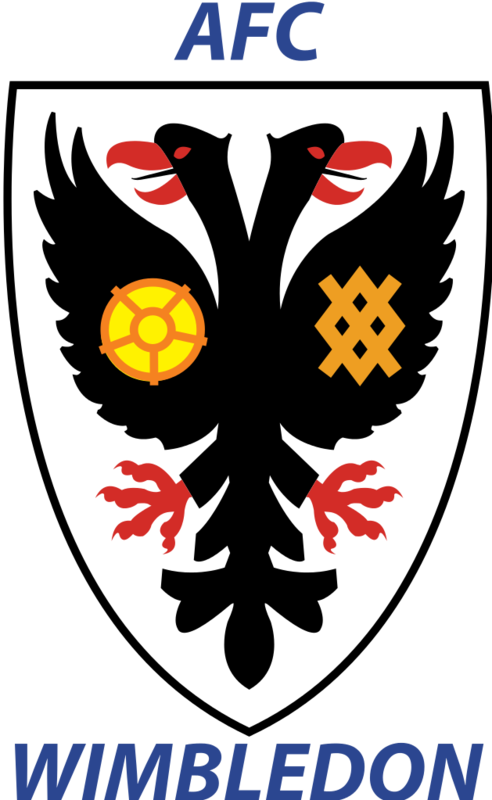 AFC Wimbledon return to Merton! After 3.5 hours of detailed debate, Merton Council’s Planning Committee have approved AFC Wimbledon’s return to Merton with the build of a new multi use stadium on the Plough Lane greyhound stadium site! 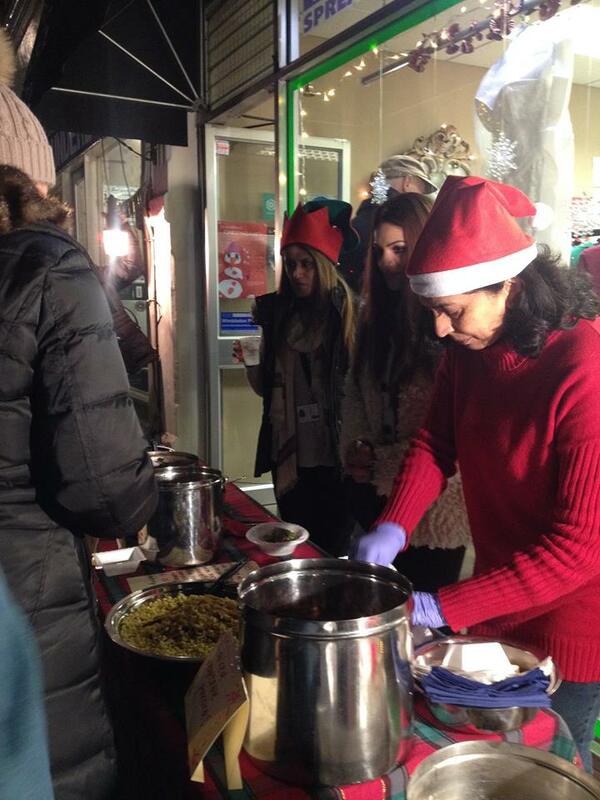 In December, local businesses and residents attending Leopold Road's Street party and it was a huge success! A grand total of £2,370.88 was raised for Perseid School in Morden for children with severe learning disabilities. The school says - "This money makes such a difference to us. It means that we are able to buy highly specialist playground equipment for our Lower School playground. It is fabulous to know that we have such great support for our school in the local community, and our long standing link with Leopold Road Traders Association is very important to us." 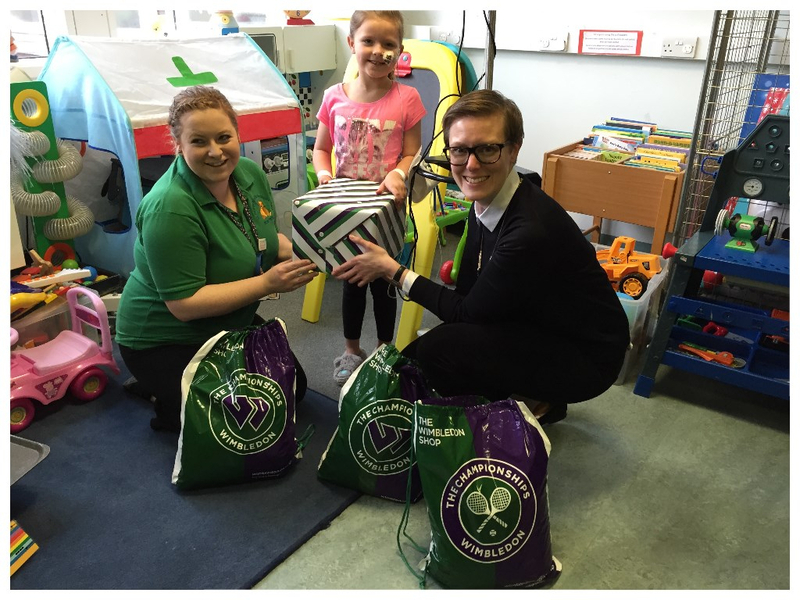 The Wimbledon Foundation, the charity of The All England Lawn Tennis Club, donated Wimbledon merchandise to the children’s w ard at St George’s Hospital, Tooting. Representatives from the Foundation visited the hospital in December to deliver presents for those children who had to stay in hospital over the Christmas period. Justine-Louise Makin, the Lead Play Specialist at St George’s said, "We would like to say a huge thank you to the Wimbledon Foundation for donating some lovely t-shirts and stationery for all our children and young people. Being in hospital is always a difficult time especially at Christmas and this donation really helped to put a smile on our patient's faces." Read their full press release here. Merton Chamber of Commerce appreciate how important it is to give back at Christmas time. As part of our annual Christmas Lunch event held at San Lorenzo Fuoriporta in Wimbledon, which took place on Wednesday 16th December, money was raised for our chosen charity of this year MertonVision, a local charity celebrating its 50th Anniversary! They provide services, information, training and support to blind and partially sighted adults and children living in Merton. MertonVision help people come to terms with their loss, and give them the skills to stay independent and live life to the full. Our guests were treated to a delicious Christmas lunch followed by the raffle with a range of wonderful prizes kindly donated by local businesses. Over 90 guests gave generously as more than £780 was raised in aid of MertonVision through the donation of raffle prizes by businesses across the borough. Click here to read our full press release. 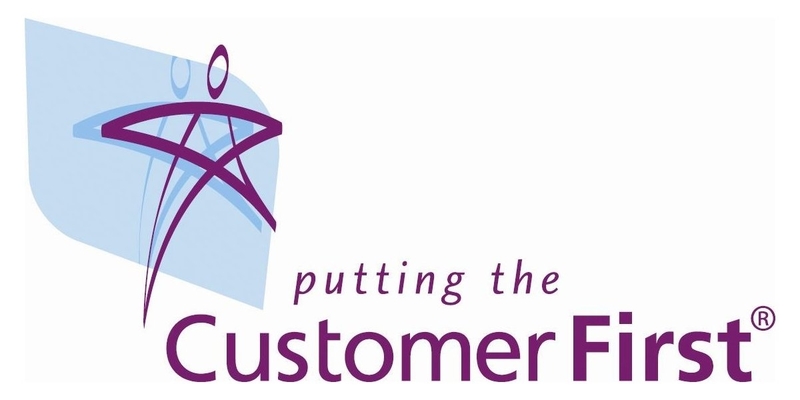 Putting the customer first is in the heart of all that we do here at Merton Chamber and for over ten years we have put ourselves forward to be assessed by Customer First to make sure we are complying to all areas of the Customer First Standard. We are pleased to say that we have once again been awarded with this accreditation! Mitcham and Morden MP Siobhain McDonagh paid a visit to the Generator Business Centre in December to see how much the centre had grown since Merton Chamber took over the management in January 2010. 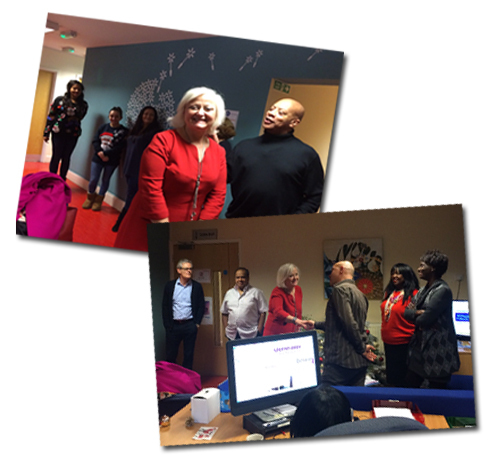 Along with Diana Sterck, Merton Chamber CEO and staff from the Generator, tenants such as Rhodium Consulting Ltd, Imagine Independence, Bluebird Care Ltd and Southside Accountants Ltd gave Siobhain a warm welcome. Both Bluebird Care and Imagine Independence took the opportunity to discuss issues that relate to their businesses and Siobhain invited them to attend a surgery at the constituency’s office in Morden. Rhodium also introduced her to their staff members who have come through the apprenticeship scheme. We were thrilled to have her visit us and it was a great way to mark the end of another successful year for the Generator! 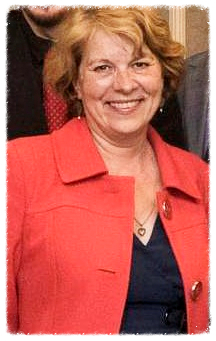 New - Stress Awareness Workshop! • How to use stress to their advantage to improve their effectiveness and wellbeing. Our Stress Awareness workshop will benefit frontline employees who work with customers, managers and co-workers, enabling them to handle pressure and time constraints in a way that enhances their performance. • Unmanaged stress can develop into serious mental health problems such as depression, and increase the risk of physical illness like heart disease. • Stress accounts for 43% of all working days lost due to ill health (HSE Labour Force Survey, 2014/15). • Workload pressures including tight deadlines, too much responsibility and lack of managerial support are the main causes of work-related stress, depression and anxiety (HSE Labour Force Survey 2009/10). 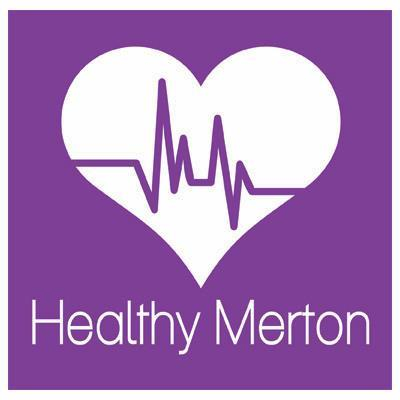 As part of our commitment to help you to manage the risks associated with your business, Merton Chamber of Commerce have teamed up with Kerry London insurance brokers to offer the opportunity of a free risk and insurance health-check for your company. With over 25 years’ experience, Kerry London are commercial insurance specialists that support a wide range of businesses operating in a wide variety of sectors from micro SME businesses through to larger multi-national risks. Your FREE risk and insurance health-check will include the opportunity to discuss in detail your business operation with an experienced insurance advisor so that you are fully aware of the risks associated with your business and have peace of mind that you have taken appropriate steps to manage these risks. You will also be given the opportunity to receive an alternative insurance quotation, where your existing policy is not already held by Kerry London. 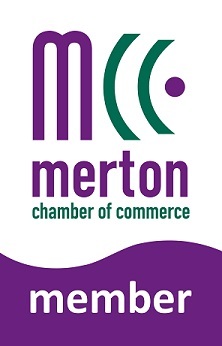 Thank you for displaying the Merton Chamber logo on your email footer - a bottle of wine is on its way to you!